Nina Hollington is a London based photographer. She has been commissioned by Eurosport, UK Sport, Aurum Press, Gieves & Hawkes, Purple PR and Westminster Kingsway College amongst others. 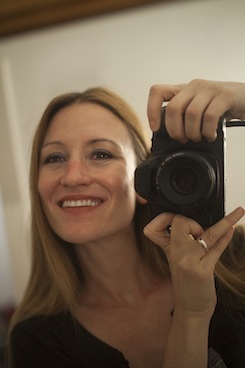 Her work has appeared in a variety of publications, most recently in the Sunday Times Style Magazine. As well as the photographs for the guide book Criminal London, Nina shot the cover and inside cover for Size Matters Not by Warwick Davis, the autobiography of the star of Ricky Gervais’s and Stephen Merchant’s mocumentary sitcom Life’s Too Short. Nina is currently working on a series of portraits for another book project, In Praise of Older Women. She is married to fellow agency author Kris Hollington and they live in East London. 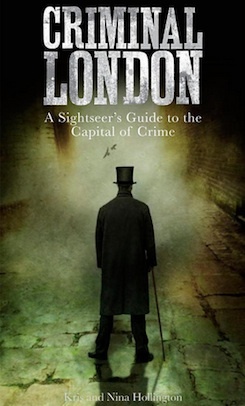 Criminal London: A sightseer’s guide to the capital of crime by Kris and Nina Hollington has been nominated for the British Travel Press Awards. Kris and Nina Hollington will be appearing at the Woolfson And Tay bookshop this Wednesday at 7pm to talk about their new book Criminal London. The event is almost fully booked, but there may be a few tickets left. A couple of lovely reviews of Kris and NIna Hollington’s Criminal London can be found at Londonist and Londonphile.